We are a leading Manufacturer of single stage vacuum pumps from Ahmedabad, India. 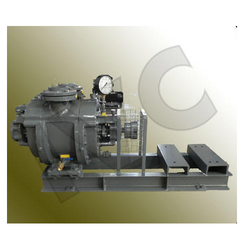 We have extensive prowess in exporting and supplying superior quality Single Stage Vacuum Pumps. Our offered pumps are widely used in industries and power plants for their superior strength and excellent functionality. With the procurement being carried out from a renowned enterprise, our offered pumps are available to customers in varied stipulations as per their requirements. Looking for Single Stage Vacuum Pump ?